breathtaking surroundings, but a real aversion to anything winter white. Therefore she paints with a vibrant dose of color… and travels a lot! 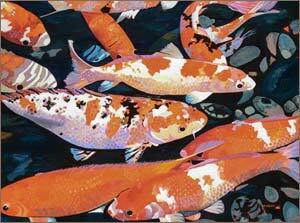 Her work is included in numerous corporate and private collections in Maine and throughout the country. 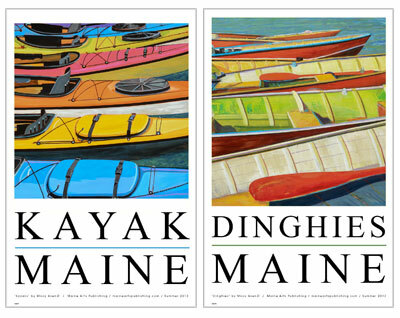 Maine Arts Publishing has partnered with Portland area, Maine artist Missy Asen, transforming her iconic images of kayaks, canoes and seafood into high quality, digitally printed posters and notecards. The independent publishing company shares Asen's unique vision of Maine with custom designs that capture the magic of Maine as a place and as a people, which is now Maine Arts Publishing's branding theme. 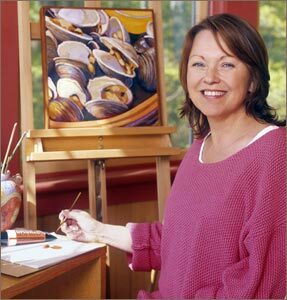 Ms. Asen joins over 20 Maine artists whose works, reproduced by Maine Arts Publishing, embody the spirit of and love for the State of Maine and its environs, laborers, the sea, the mountains, sports and food, with whimsy, expert techniques and sophisticated style.